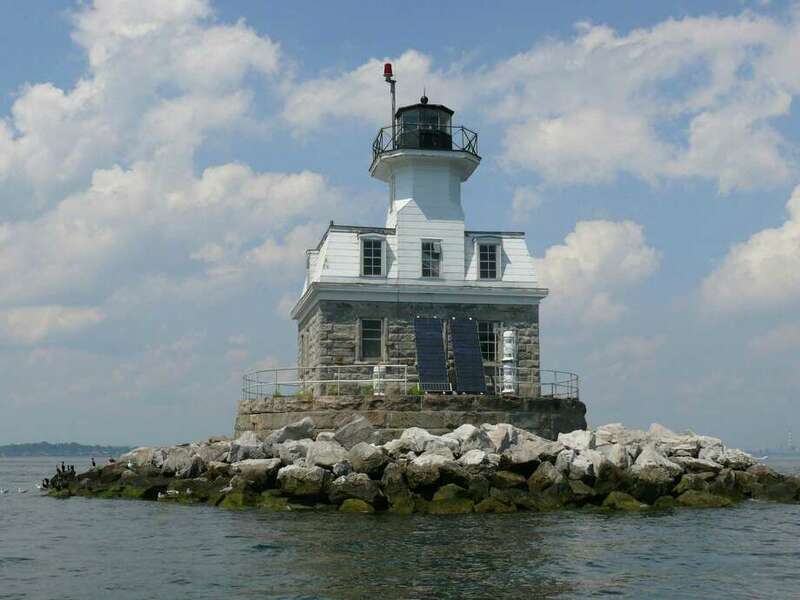 Connecticut Community Boating, a Bridgeport-based non-profit group, hopes to submit the winning bid for the Penfield Reef Lighthouse. Connecticut Community Boating, a nonprofit group, is in "full fundraising mode" according to Chris German, to achieve the ownership goal. Those interested need to put down $10,000 to be eligible to bid. In 2008, the National Parks Service took applications from nonprofit groups interested in taking over the lighthouse, which dates back to 1874, and the town submitted one of two applications received. However, the lighthouse was awarded to an organization named Beacon Preservation, which later became embroiled in a dispute over the bottom lands and never took ownership. The lighthouse was then put out to bid in 2011, but a town committee formed to raise funds for its purchase raised only about $22,000. The winning bid was $45,000, but it was not accepted by the federal government "because it did not met the government's expectation of value for the property," Patrick Sclafini, public affairs officer with the General Services Administration's New England Region, said in 2012. The historic landmark is now going back on the auction block, most likely in August, Sclafani said. "If we won, we would hope to make it one of three lighthouses we hope to maintain as public resources," German said of his group's plans. "It would be restored to serviceable condition." German said the plan includes establishing a group of volunteers who would assist the Coast Guard in maintaining the lights as navigational beacons and provide educational programming about the lighthouses. The other two Connecticut lighthouses being put up for sale are in Old Saybrook, at the mouth of the Connecticut River, and the New London Ledge light at the mouth of the Thames. The community boating group already has the boats, the know-how, and the 501c3 designation, he said. In 2011 , the Penfield Reef Lighthouse Preservation Committee estimated it would cost as much as $90,000 to acquire the property, and another $452,000 to make needed repairs. The town committee exploring the lighthouse acquisition is expected to begin meeting again shortly, according to the first selectman's office.